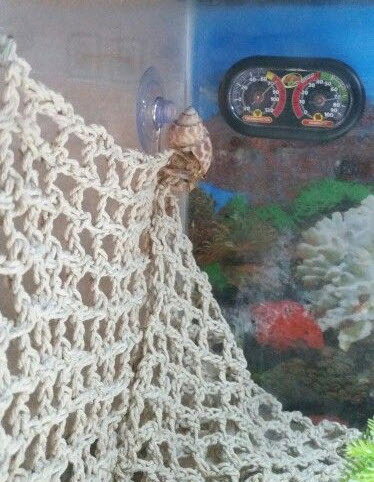 Turn an entire wall of your hermit crab’s tank into a climbing area! Attach suction cups along the wall near the top of the tank. Hang a net on the suction cups. If needed, fold the edges of the net back into the tank or hang them on a neighboring wall. Ensure that the top of the net is low enough in the tank that your crab can’t climb over the top of the tank.